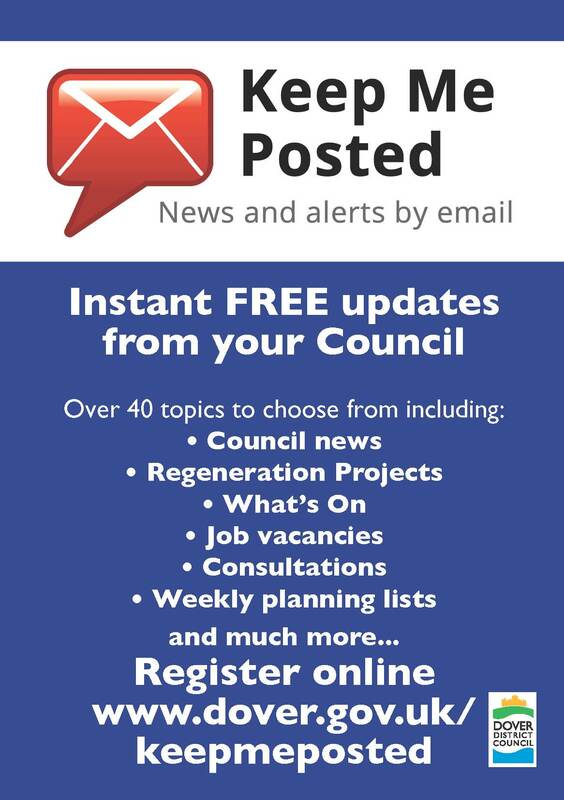 Register for updates on lots of different topics from Dover District Council. Just choose which infomration to receive in your inbox. 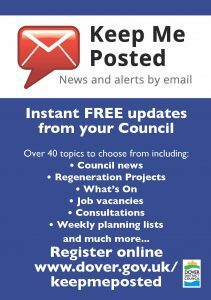 Visit the Dover District Council website and click on Keep me posted.